DMAA Pre Workout | Have We Discovered #1 Strongest Formula? Ever since the ban of DMAA (1,3-dimethylamylamine) pre workouts we have been searching for alternatives that come somewhere close near the effects of this stimulant. Most pre workouts all have similar formula’s and they don’t just work as well as the good old DMAA pre workout. If you are wondering why they are no longer available, let me give you a quick explanation. DMAA Pre workout have been banned because 1,3 DMAA was a synthetic stimulant. Instead of a naturally occurring ingredient. 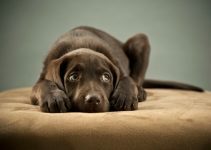 The FDA could not find any reliable sources that indicated that DMAA was naturally found in plants. And just like that, the FDA banned DMAA Pre Workouts all together back in 2012. For those of you who have never tried a DMAA pre workout, it is nothing like the stuff available on the market today. You are probably wondering, what does a DMAA Pre workout feel like? The thing with Pre workouts nowadays is, supplement companies throw in a little extra Caffeine or some more Beta-Alanine and claim they have a new groundbreaking formula. But often we just end up missing that extra boost or get used to them very quickly. Pre-workouts with too much caffeine give you a boost at the start of your workout, but you will quickly end up losing focus. Having tried various pre workouts myself it is safe to say these popular products nowadays just don’t cut it for me. What If I told you there was an alternative to the old DMAA Pre Workouts? Oh and trust me, it is way better than all the other stuff currently available. For those of you that have no idea what DMAA is let me give you some background information. DMAA, also known as Methylhexanamine or 1,3-dimethylamylamine is a very strong central nervous system stimulant. Which is not strange when you find out it is actually an amphetamine derivative. The main reason people have started using a DMAA pre workout is because of its strong effects. It is able to significantly enhance your energy levels. You can compare it to an ECA Stack which is a strong stimulant. Whether DMAA is a natural or synthetic ingredient is still up for discussion. Several supplement companies suggest that DMAA is naturally derived from the geranium plant, whilst the FDA claims that DMAA used in dietary supplements is synthetic. Unfortunately, Pre Workouts with DMAA are no longer available. Well, unless you purchase them illegally which I definitely would not recommend. But I have some good news. There are alternatives to the old formulas from back in the day. I managed to find a company that put together almost the exact same DMAA Pre workout. Yes, that’s right, I couldn’t believe it myself at first. Upon looking closely through the ingredients the team from Enhanced Athlete put together I was amazed. You can tell these guys researched and took the time to formulate this pre workout. This product contains DMHA, which is like DMAA’s twin brother. It is said that DMHA is almost as strong as the original DMAA, so if you have never tried this stuff boy you are in for a surprise. Of course, you’ll also find staple ingredients such as L-Citrulline, Caffeine, and Taurine. I’m talking about the RAGE Pre workout by Enhanced Athlete. This stuff is absolutely top notch. I’ll be using RAGE for as long as it is available. It basically mimics the effects of the old formula’s because the ingredients are very similar. It is also worth mentioning that you get no crash at all after using RAGE. This is huge for me because the old DMAA Pre workouts made me extremely tired after using them. If you’re looking for a review on this product, take a look at the video below. Let me quickly run you guys through my personal experience. I took one scoop of this product just before I was about to train chest and triceps. After about 20 minutes I started feeling the effects. Whilst driving to the gym I got very focused and was full of energy. The pumps were also AMAZING. Seriously, it has been quite a while since I got a good workout in like this one. I ended up doing a lot more volume than expected just because I felt so focused. I ended up setting a personal record during the bench press which was awesome. Afterward, I felt good and was satisfied with the work I put in, no crash at all like with other pre-workouts. The Enhanced Athlete team seems to also be working on a LOT of new products. Their goal is to provide the fitness and bodybuilding community with new cutting-edge supplements. These include Laxogenin, Phosphatidic Acid, and Epicatechin. 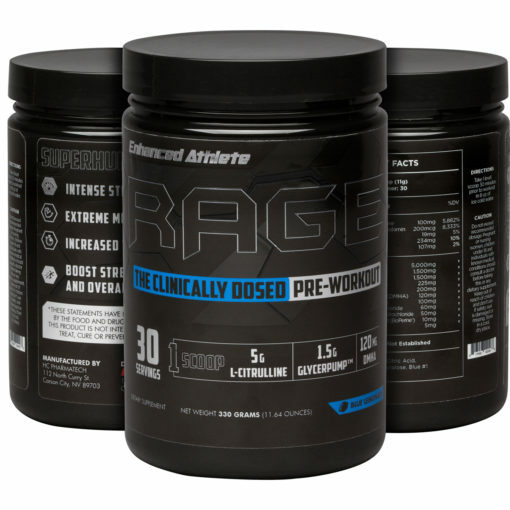 Click Here To Buy Rage DMHA Preworkout! I used to be a huge fan of the old Mesomorph Preworkout DMAA version. 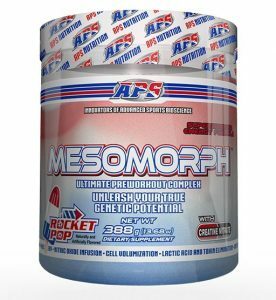 Mesomorph was just one of those preworkouts you had to have. Unfortunately, the Mesomorph Preworkout DMAA version was taken off the market. 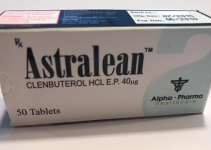 They came out with a new formula that does not contain the good old DMAA stimulant. To be completely honest, I ended up purchasing a new tub of the Mesomorph Pre workout. I was hoping that the new formula would be somewhat like the old DMAA version. I tried taking multiple scoops of the new formula and it was quite dissapointing. If you are looking for an alternative on the Mesomorph Preworkout DMAA, I would highly suggest checking out RAGE by Enhanced Athlete. They have done a great job formulating a product that is very similar to Mesomorph. In my opinion, it might even be better. The reason why I like Rage Preworkout is that it contains a similar stimulant to DMAA called DMHA. For those who have tried the old Mesomorph Pre Workout DMAA formula, you can expect the same energy, focus, and pumps when taking a scoop of Rage Preworkout. A huge plus is that RAGE is legal to purchase, unlike pre workouts containing DMAA. Enhanced Athlete is actually one of the very few companies that have put together such a strong stimulant formula. It’s great to see that some companies still take production innovation very seriously rather than selling stuff that everybody else already has. Hey man I completely share the same opinion as you do when we speak anout DMAA, I loved the product!